With over 80% of corporations using Unified Communications, it is no surprise that softphones have a growing market. And why not? Let’s take a glance at your office desk, if I make a smart guess, there is a laptop, its charger, a desk phone, your office bag, a water bottle (if not, please have one), and some stationary items. If you were to choose, what would be the first thing you would want to remove to increase space on your desk? Wires may be? Let’s go one step further, let’s remove the desk phone altogether! What about business communications then? Read on! Softphones essentially shift all of your desk phone functionalities to your smartphone or desktop computer. This means that you can place calls and receive them through the extended communication endpoints. Furthermore, it offers additional features such as video calling using the smartphone or desktop computer hardware. 1. Unbounded Reachability – Reduce call cost while traveling to another state or country. Convert your laptop/smartphone into a user endpoint. 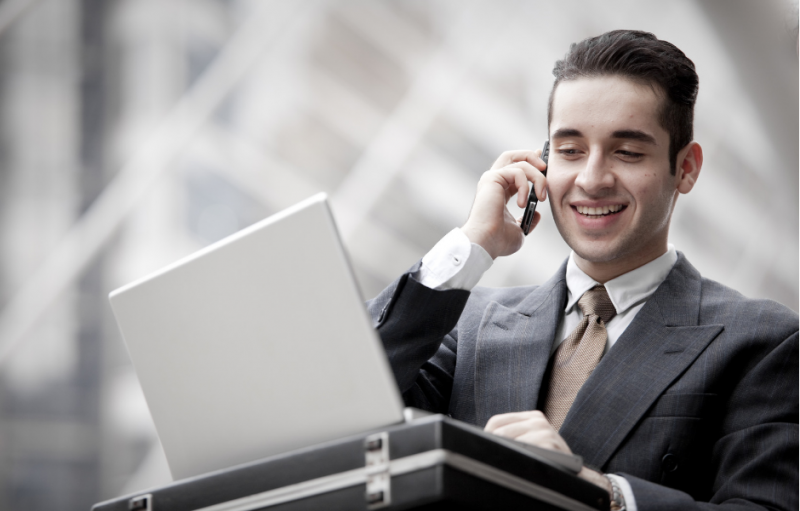 Hold audio conferences with team members across the globe. Softphones require only a device and the setup API. 2. Low Cost of Procurement – If you are an established business, chances are you already have a communication system. You would obviously not want to scrape given the cost behind procuring a new communication network. With softphones, existing infrastructure can be converted to a user endpoint. 3. Integrated Data – Integration with corporate directory enables quick communication. 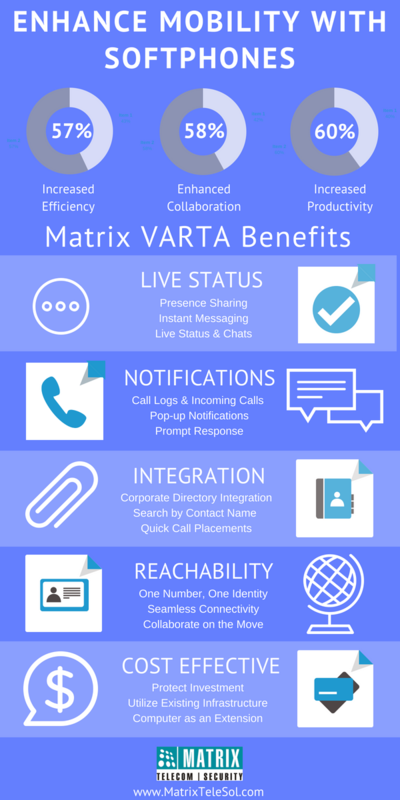 Now that we have seen what benefits softphones offer, we are glad to tell you that all these and much more is available on VARTA – UC Client from Matrix Telecom solutions. VARTA enables you to switch or extend the extension to a desktop computer as well as a smartphone. With features such as Video Calling, Presence Sharing, Instant Messaging, Drag-and-Drop Conference and BLF Keys, Matrix VARTA elevates communication effectiveness and business productivity to the next level. Read on to know how VARTA enables seamless business communication. Among the pool of many, following are a few major benefits that Matrix VARTA offers. 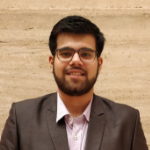 Live Status – VARTA provides a unique level of personalization and control over the communication experience with features such as Presence Sharing, Instant Messages, and Chats. Notifications – It sends call logs and incoming call pop-up notifications for customer convenience. Furthermore, this enforces prompt response and in turn, increase in productivity. Integration – All contacts are stored in one location with Corporate Global Directory integration for easy access. No need to save each contact in your phone, VARTA has got it covered for you! Moreover, group contacts, a drag-and-drop conference for meetings are also featured that this solution offers. Reachability – Contact anyone from anywhere at any time. It enables quick decision making with enhanced team engagement. VARTA also reduces mobile charges through desktop computer extension while outside the state or country. Ease of Use – One-touch access to extension numbers with 1,000 direct station selection keys. It gives the real-time status of colleagues with 600 busy lamps field keys. Intuitive Interface – Search or dial contact name or extension directly from the search pad. Intuitive graphics and design are provided for a user-friendly experience. Personalize your interface by marking favorite contacts and contact grouping for quick connectivity. With all these benefits and much more, Matrix VARTA is the perfect softphone solution for your business communications. Still in doubt? Contact us or email us your queries.